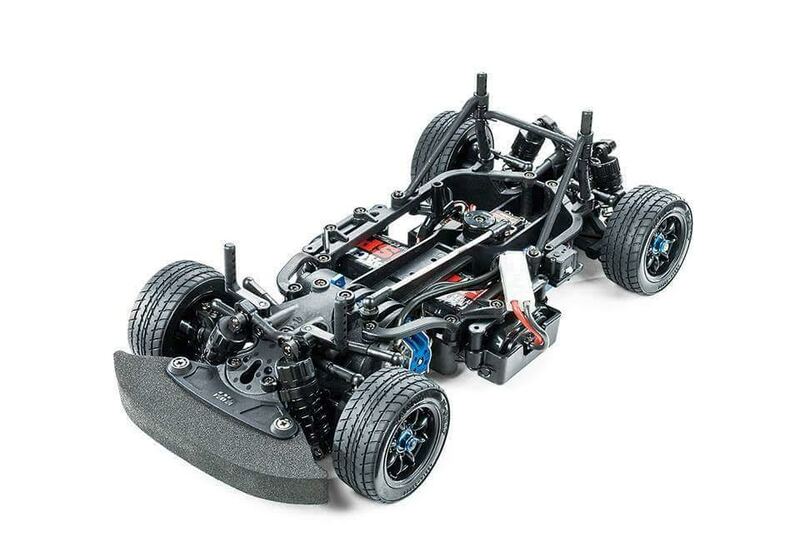 Tamiya has released some official photos of the exciting new M07 Concept chassis. Personally I am glad to see that it has taken a much more radical design. The new longer arms are good, I did think they might be a little longer. The box shot provides a nice clear look at the top of the chassis and the layout. The servo is at the rear of the car to keep everything low profile. The battery compartment looks like it is made for standard lipo batteries, although there doesn't look like an easy way to discard the battery holders and use tape, which might bother those who want to use shorties. Hope the chassis isn't as prone to tweak as the TA07.